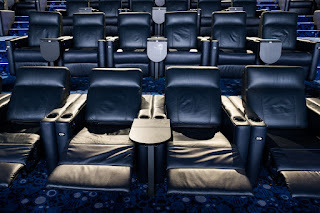 Buckle up, sit tight and rediscover movies as Ayala Malls Cinemas’ U.P. 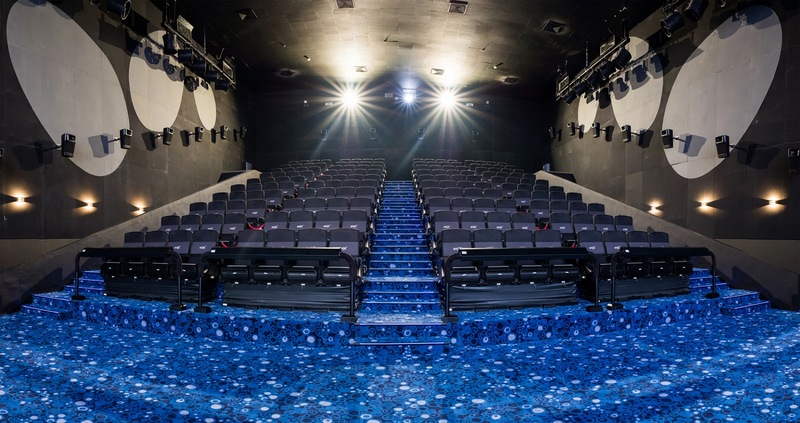 Town Center (along Katipunan Ave., QC) opened the first 4DXTM screen in the city at its recent launch (July 15) of its multiplex of cinemas that also houses luxurious recliner seats and the latest in Dolby Atmos technology. Responsive to the needs of the community, Ayala Malls Cinemas’ U.P. Town Center intensifies the cinematic experience notches higher with its four (4) state-of-the-art cinemas – (1)Recliner seats equipped in Dolby AtmosTM , (2) Dolby digital theatres and (1) 4DXTM cinema. Be in the movie by using all of your senses with U.P. 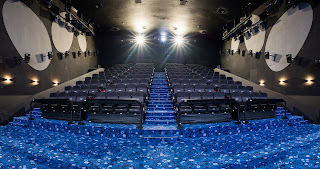 Town Center’s 4DXTM cinema, the first of its kind in northern Metro Manila. Stimulating not just the eyes but the rest of the senses too, 4DXTM has indeed transformed the experience of watching movies. 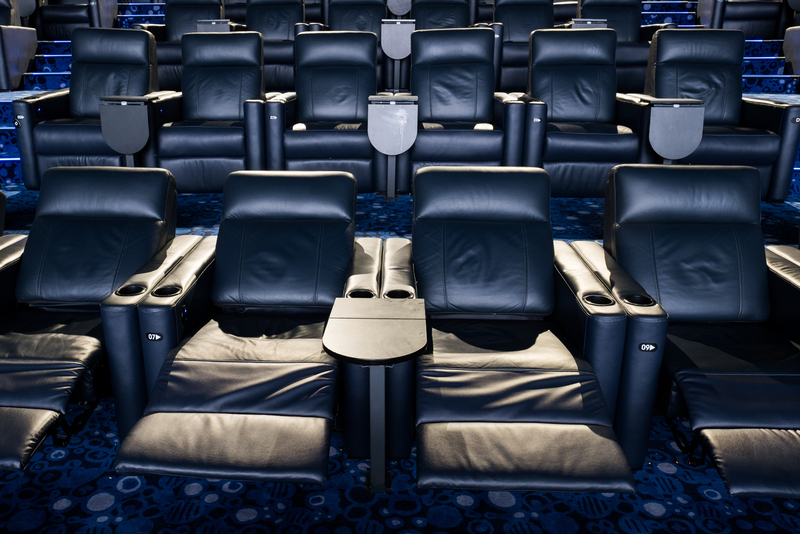 Its 4DXTM motion chairs are equipped with bottom and back shakers and leg ticklers - tilts forward, backward, side to side and nudges in the back. Further immersing the audience, the cinema’s environmental effects feature that emits wind, bubbles, different scents, water, fog and lightning are seamlessly synchronized with the action on screen. For the keen listener, another first in the area is the Dolby AtmosTM technology that creates powerful, moving audio and introduces two important concepts to cinema sound – audio objects and overhead speakers. 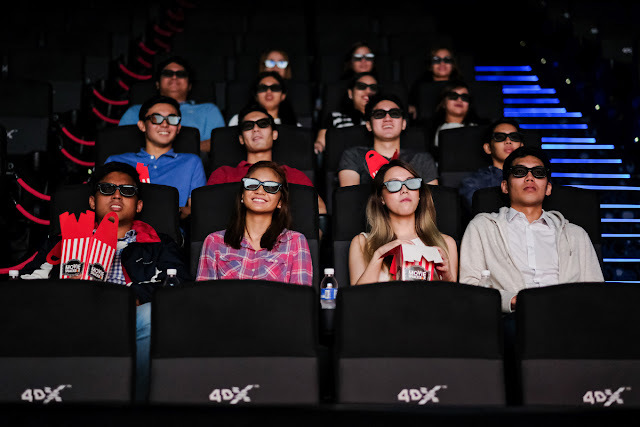 Sounds flow all around the cinema while comfortably watching in the motorized recliner seats while fully engaged with what’s happening on the big screen – 2D, 3D and 4DX. Hungry for more? Complementing an unparalleled impressive cinematic experience, U.P. Town Center Cinemas has a Movie Snack Bar too that also offers a wide range of snacks and refreshments for a fully satisfying movie treat. The only University Town Center in the country, U.P. 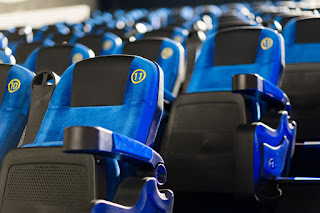 Town Center Cinemas’ schedule can also be accessed at Ayala Malls Cinemas’www.sureseats.com – an online portal of movie schedules where one can reserve and buy tickets in advance. Additionally, Ayala Malls Cinemas’ MPass card is a reloadable prepaid movie card that comes in handy for online and over the counter ticket purchases which also offers exclusive promos. Present during the launch of U.P. Town Center Cinemas featuring the latest “Ghostbusters” movie are Ms. Rowena M. Tomeldan - President of Ayala Land Malls Inc., Atty. Rolly S. Dueñas - Deputy General Manager of Ayala Malls Cinemas, Mr. Robert J. Lotho - General Manager of U.P. Town Center, Mr. Amir V. Precilla - General Manager of Ayala Malls Cinemas and Mr. Mark L. Sablan - Senior Division Manager of Ayala Land Inc. The event was graced by celebrities and prominent personalities such as Angelika dela Cruz, Jane Oneiza, Leo Katigbak, Sec. Rene Almendras, Vincent Del Rosario, Loisa Andalio, Jairus Aquino and Yves Flores.